California - 3Q Digital, 500 Designs, Ad Victorem, Adwizar, Alaniz, Album Agency, AMGADIZATION, Artsy Geek, Astin Technology, barrettSF, Bartlett Brands, BASIC, BayCreative, Be Unicorn, BEXBRANDS, BIGPIE | Digital Creative Agency, Bluewolf, BLVR, Brandastic.com, Branding Los Angeles, BSTRO, Bulldog Drummond, CCG / Marketing Agency, CIRCA, Citizen Group, Column Five, Crowd, CSTMR Digital Marketing, Cutwater, DDW, Deal Design, Inc., Demonstrate PR, Design Proficient, Design Spinners, DMI (Digital Management, Inc.), Dog and Rooster, Inc., Duncan Channon, Elevate Creative Agency, eMaximize, Emotive Brand, Evviva Brands, Excela Creative, FastRock, Fifty & Fifty, FINE, FINIEN, Flair Designs, Flat 6 Concepts, Flight, Funworks, Gershoni Creative Agency, GH Branding, Global Brand Works, Gold Front, Good Stuff Partners, Gray Square Media Solutions, GrowPlastic, Growth Drivers, Herman-Scheer, Hub Strategy and Communication, Hunter & Bard, Huntington Pacific Media, HypeLife Brands, IdeaWork Studios, Ignyte, Incitrio, Intelligent Clout, Interactivism, Isadora Agency, Jacob Tyler, Jingged, JStokes Agency, JUMBOshrimp, Just Digital Inc, Kristan Ruona Marketing, Kwok Design, L.A. Social Karma, La Visual, Latin & Code, LESS+MORE, Lien Design, Lift Graphic Design Studio, Marc Posch Design Group, Marketing and Advertising Design Group (M.A.D. Group), McLean, Mentus, MiresBall, Mistress, MOONBEAM STUDIOS, INC., Most Likely To, Movetic, Nika Digital Agency, Noble Intent Studio, Noise 13, Oui Will, Pace Social Media, Palmer Ad Agency, Pivot Design, Pixel Jar, Propane, R2integrated, Ramotion, Revolution Creatives, Ripe Media, RNO1, Salt Branding, Sensis, Six Degrees LA, Socialfix Media, Specto Design, SPRITZ LLC, Stanton & Company, Storm Brain, Studio 22, Sur-Ryl Marketing, The Bureau Of Small Projects, The Engine is Red, The Human Expansion Co., The Marcom Group, The Miller Group, Theory SF, Think Strategy, Thirsty Agency, Thunderbolt Studios, Timelapse, TLK Fusion, Toi, Traction, Traina Design, TRIXMEDIA Inc, Twelve12, U & I brand consulting/ development, UNIT partners LLC, Venthio, Voice & Reason, VOKENT creative digital agency, Vrrb Interactive, Weberous Web Design, Websauce Studio, Wonsupona, Wpromote, and Zubi Advertising. Florida - Absolute Mobile Solutions, APPETITTE, Big Couch Media Group, BrandJuice, Bright Vessel, bvk, Crea7ive Interactive Advertising, Creative Mindworks, Decographic, DigitalUs, DM Agency - Disartmedia, ElephantMark LLC, eSasson Studios | Web Design & SEO Agency Miami, Highforge, Laughing Samurai, Leftfield, Link2CITY, NewmanPR, NURO MARKETING, PaperStreet Web Design, Parisleaf, Persimmon Creative, Pumped, Inc., Sparxoo, Stevie & Fern, The Brandon Agency, Treefrog Cinegraphix, Vero Beach Marketing, Vortex Communications, W. BRADFORD, WANT Branding, and Zubi Advertising. Georgia - 7th Floor Studio, Awaken Branding, Black Airplane, Bluewolf, Creative Juice, LLC., Definition 6, EYStudios, Franchise Marketing Systems, Frederick Swanston, id8, Matchstic, Media Frenzy Global, Mighty, MOCK, the agency, Prolifik Digital Marketing, Remedy Films, Tailfin, The Taproom Agency, TopRight, and Vigor. Idaho - SmashBrand and Strategies 360. Missouri - Afflecto Media Marketing, KRJ Marketing, and Leap Clixx. Montana - Spiker Communications and Strategies 360. Nevada - BRAINTRUST, GrowPlastic, IdeaWork Studios, and Strategies 360. Oklahoma - Direct Allied Agency and WEBB branding. Oregon - A.wordsmith, Activate Health, Cardwell Creative, FINE, Iris Creative Co., KindTyme, Monumental, Murmur Creative, Nelson Cash, Pixel Productions Inc., Solid Digital, LLC, Speak!, Sprague Media, Strategies 360, and Vadimages. Pennsylvania - Agency 1903, Cohere, DesignMantic, DSC Advertising, Durkan Group, Firestorm SEM, FVM, halfGenius, Navitas Marketing, Neff Associates, Push10, Roket, Sagefrog Marketing Group, and weCreate Website Design & Marketing. 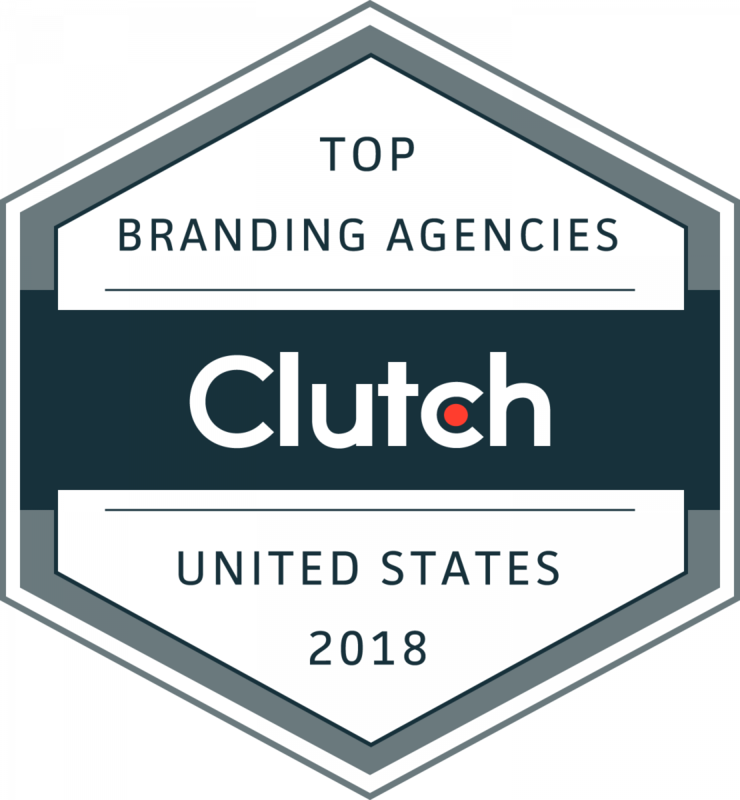 It’s free to get listed on Clutch, but only the most highly recommended companies are named as leaders in Clutch’s annual reports. These branding agencies have gone above and beyond to prove their industry expertise and ability to deliver. Clutch’s research is ongoing. For a chance to be listed on Clutch’s 2019 report, apply now. It’s a free, two-step process that takes less than 20 minutes. The full research can be found at https://clutch.co.